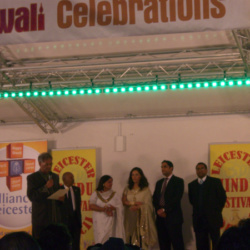 Councillor Sood has proudly served the City of Leicester as the High Bailiff (2007 to 2008, 2015 to 2016 and 2016 to 2017), the Deputy Lord Mayor (2009 to 2010) and as the City’s First Citizen and Lord Mayor (2008 to 2009). 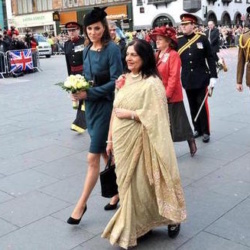 Councillor Sood made history by becoming the first Asian female Lord Mayor and High Bailiff in the United Kingdom which was a monumental achievement. 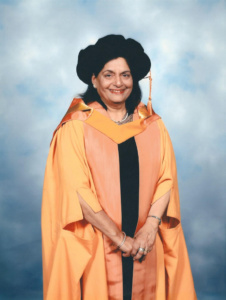 Councillor Manjula Sood is the elected City Councillor for the ward of Belgrave, previously serving as the City Councillor for Abbey and Latimar wards, in Leicester East. 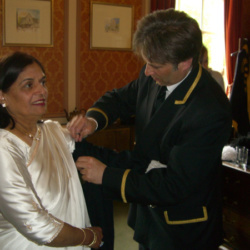 She has been an elected sitting Councillor since October 1996. 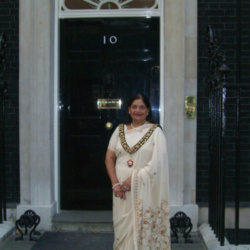 Before entering politics, Councillor Sood was a school teacher for almost 20 years. 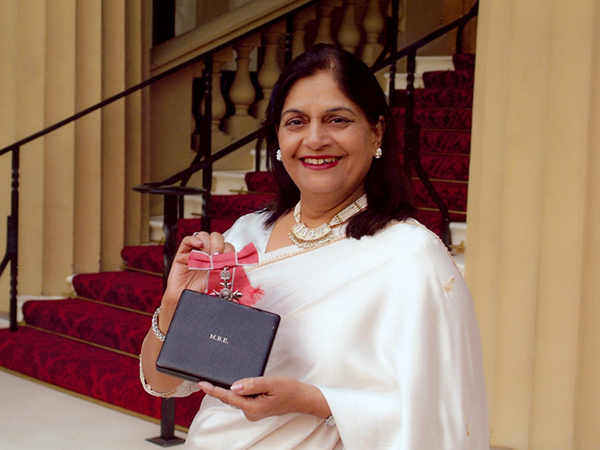 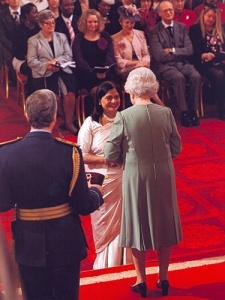 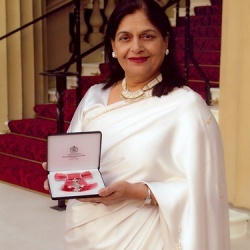 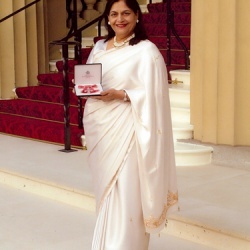 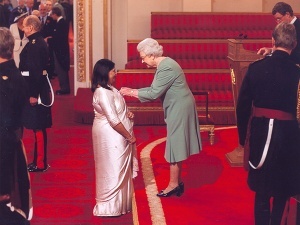 The pictures above are of a proud Cllr Sood, who was a recipient of a Most Excellent Order of the British Empire (MBE) for Community work in Leicester from Her Majesty. 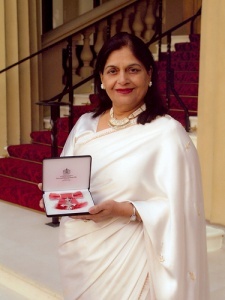 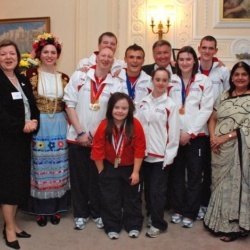 The Investiture ceremony took place at Buckingham Palace on Thursday 5th November, 2009. 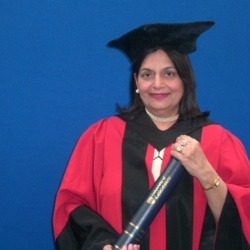 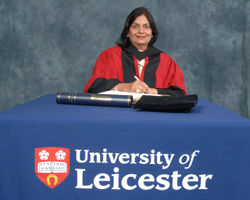 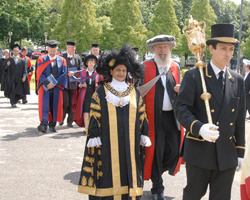 The other pictures are of Cllr Sood receiving two Honorary degrees, Doctor of Laws (LLD) from Leicester University and Doctor of Letters (D.Litt) from Demontfort University. 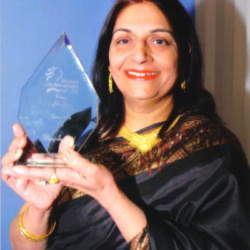 Cllr Sood’s family are very proud and honoured on her accomplishments.